Paulo Ferreira compares Antonio Conte to Jose Mourinho and talks of a new era at Chelsea. Paulo Ferreira who played for Jose Mourinho at Chelsea and now works as part of the Chelsea backroom team under Antonio Conte has compared the two in the build up to our big game on Sunday. It's something that every single manager who comes to Chelsea has to face, questions and comparisons of the most successful manager in the history of Chelsea Football Club - Jose Mourinho. Despite Roberto Di Matteo delivering the ultimate prize by winning the Champions League and Carlo Ancelotti's famous double in the 2009/10 season, both failed to compare and come close to the Special One and what he had achieved at our club in two spells as the manager. After last months FA Cup tie between Chelsea and Manchester United at Stamford Bridge where some sections of the crowd chanted that Mourinho was a "Judas" for taking the job and his recent comments of Chelsea, the man himself responded in typical fashion by stating that "only when a manager can win four Premier League titles at Chelsea I will still be the most successful one." So to Antonio Conte and the impact he has had at Chelsea and in the Premier League this season. Chelsea find themselves this morning sitting top of the league with a seven point lead over our closest rivals Tottenham and many have the side from West London earmarked to win the Premier League. Paulo Ferreira has paid tribute to the Italian manager this week, speaking of a comparison to Jose Mourinho when he first came to Chelsea and delivered the title in his first year. 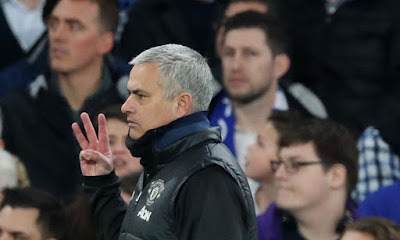 As we all know, Jose had taken the club that extra step forward and over the next two to three seasons, he moulded the squad into being winners, a team that challenged for trophies in every single year to deliver and now has the record he has here. “It’s massive for a manager to come to the best League in the world and, like Mourinho did, win the title in his first season. There are still many points to play for but I hope it will happen under Antonio. Can he build something similar to what Jose did and sustain it? This is a big club that plays to win trophies. Everyone involved wants to go the same direction, to succeed. We know this is a really competitive League where it is difficult to win it two, three, four years in a row. But the aim is there. If we can do it for five straight years, that would be brilliant. Replacing the old guard that played under Mourinho is just the way football is. Many have gone and new players have come in. It is up to the ones that stay to give the message to the ones who arrive that this is a club with a winning mentality and that Chelsea demand titles. Sunday is another important game for Chelsea but I don’t think these are the kind of games that decide titles. This fixture has a lot of history and people will talk about the clashes and what has happened in previous years. This is a game between two managers who both want to win. But you can see the reaction on the bench that Antonio is quite different [to Jose]. Conte is more involved. If he could jump on the pitch and play, he would. He’s so passionate. He can’t just sit still on the bench. Everyone is happy at the training ground, the players say he’s fantastic and he motivates them.” - Source: London Evening Standard. It's still far too early to talk of the title this season rather than look to the future but you have to say it looks promising after the nightmares of last year. 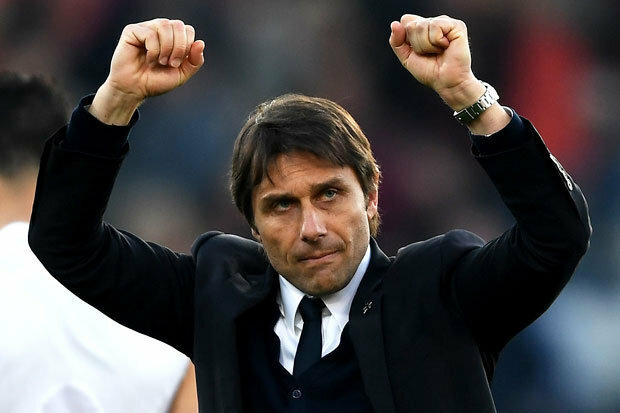 I still personally feel that Antonio Conte will not get the full credit that he deserves IF we do manage to pip Tottenham to the title this season because of all the rubbish being spoken of about not playing in Europe this season. However, if he can improve and strengthen Chelsea this summer and make a real challenge to win the Premier League and the Champions League then people will sit up and take notice. Lets not forget, he could still win the double this season if we can maintain our focus on the Premier League as we have all season, to then beat Tottenham in the FA Cup semi-final next weekend at Wembley taking us to another final. Every manager lives in Mourinho's shadow here as he is doing now at Old Trafford living under Sir Alex Ferguson's achievements. However, in Antonio Conte the signs are really, really promising and I honestly believe Jose Mourinho has finally met his match.